Empire of Books: First look at Justin Somper's ALLIES AND ASSASSINS! 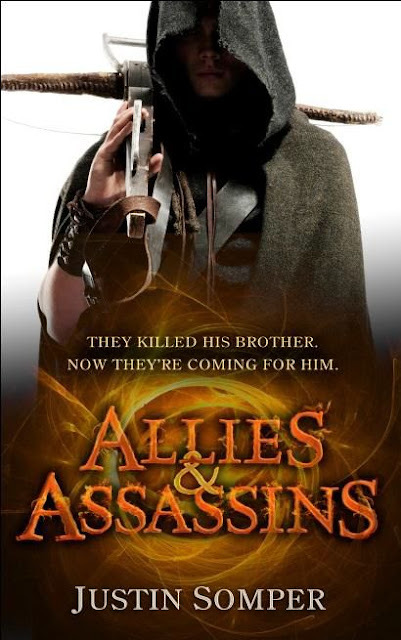 First look at Justin Somper's ALLIES AND ASSASSINS! The last Vampirates book, Immortal War was published in 2011 - it's hard to believe that 2 years have passed so fast! And now Justin Somper is gearing up for the start of a new saga. Enemies of the Prince is the name of the new series, and it's being published by Little Brown. In hardback! Eep. I always wanted hardback editions of the Vampirates books but the UK publisher released them all exclusively in paperback so no such luck there, but I am so excited we get this new series in hardback. Book One is called Allies and Assassins and it is out on 5th September. I cannot wait! I love the cover which was officially unveiled earlier today!! Kind of has a Brent Weeks sort of feel to it! Will definitely look eye-catching in hardback! Now his older brother is dead. The kingdom is his. And the target is on his back. Can he find the assassin before the assassin finds him?"